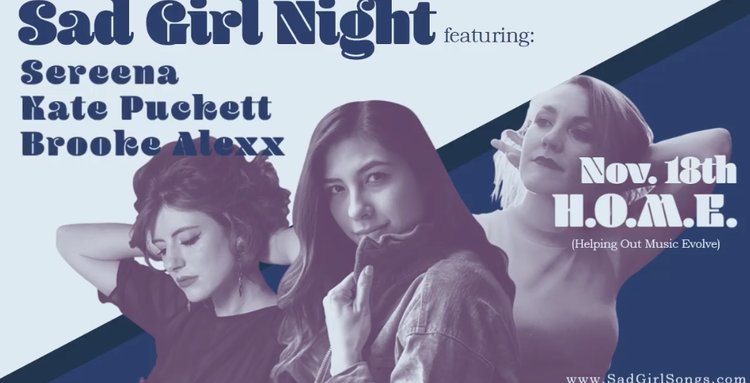 Come out to this GIRL-POP PACKED Sad Girl Night at Helping Our Music Evolve - HOME and celebrate the beauty, vulnerability, and power of some of Nashville's most talented ladies. Sponsored by House Beer - Always in Good Taste! Show-stopping, head-turning, powerhouse pop singer, Brooke Alexx, is no stranger to the stage. Fostered by a childhood career in musical theater, Brooke's voice is comparable in strength and range to Alicia Keys, JoJo, and Demi Lovato, but features distinct rich, velvety undertones. A New Jersey native who recently made the big move to Nashville, TN, Brooke is writing radio-ready earworms and diving head-first into the R&B-infused synth-pop sound she was always destined to have. Bridging hard work and natural-born talent, Brooke is on a mission to make her name known in Music City's bubbling pop scene. Kate Puckett is a Pop artist with soul. Her relate-able, down-to-earth presence both on and off the stage, her powerful, soulful voice, and her refreshing, encouraging songwriting are making waves in the music industry. Her highly requested and anticipated solo EP was released in January 2017 under the Nashville label, Legalized Crime Records. Followed by singles, "Dance Now" and "Body Language." With autumn right around the corner it’s almost time to curl up with a blanket, a fire, and your favorite chill playlist. Fresh off her debut single “You Love Me,” Nashville indie-pop act Sereena is ready to carve out her place on that list with her latest track “Mind Abuse.” For this release Sereena partnered with local producer Jason Threm to build on her relaxed, aetherial vibes; contrasting the mellow track underneath with sharp distorted vocals. Sereena invites us into her story as she navigates her emotions with this somber, self-realization song about the pain of confronting her own denial. Elisabeth Beckwitt writes songs of hope and understanding for the unheard. 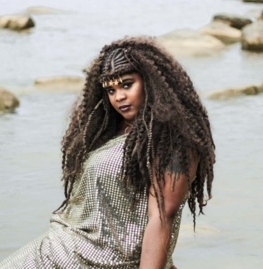 From her struggles with addiction and mental health, to her unapologetic support and involvement in the LGBT+ community, Elisabeth weaves relatable stories with encapsulating melodies to build an intimate connection with her audience. It is her hope that by being open about her struggles and her identity she can help to erase the stigma that is oftentimes associated with the communities that are so ingrained in her heart. Fresh off the release of her latest EP “Gray Again,” Elisabeth premiered a series of live performance videos called the "Static Sessions" which included some of her favorite #SadGirlMusic.